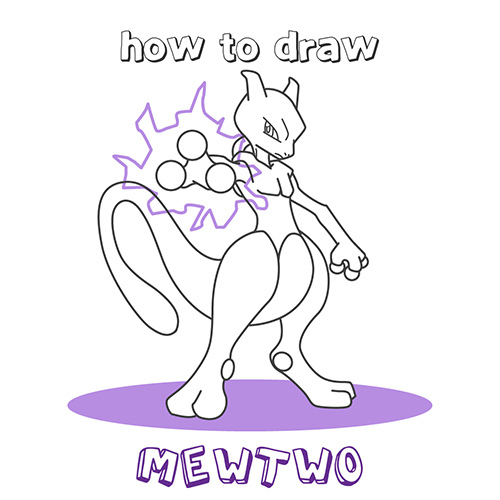 Welcome to our tutorial on how to draw Mewtwo from Pokémon! Let's start with drawing a circle for the head. Make a long box for the chest. The little line in the middle of the box will serve as the spine. 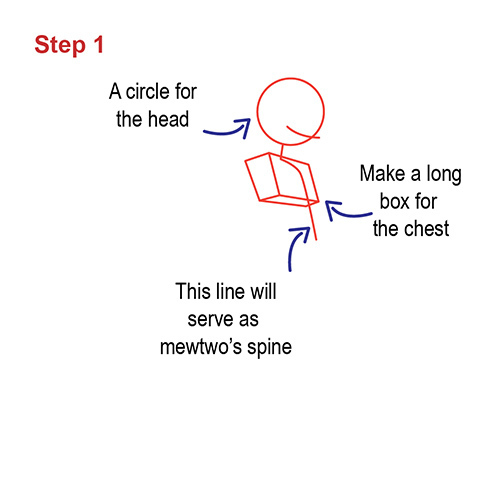 Adding a big oval will be the base for Mewtwo's hips. 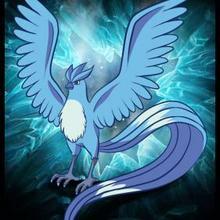 The line will be the guide for the tail. Time to start his arms and legs. 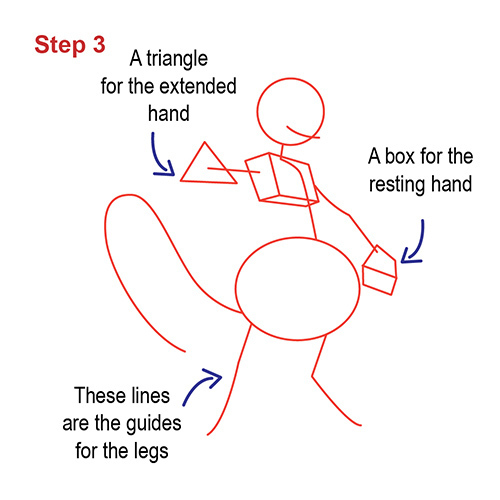 A triangle will be the extended hand and the box will be for the resting hand. Add the lines that will be the guide for the legs. 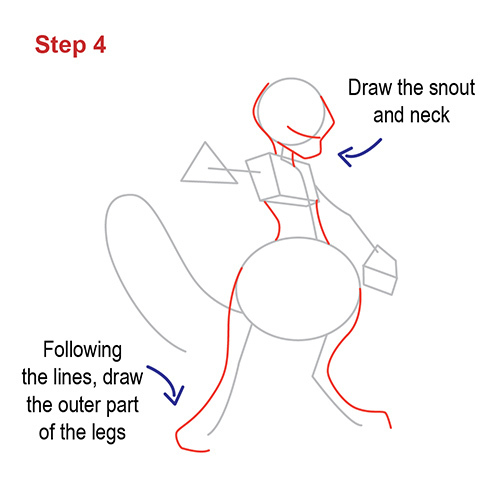 Draw the snout and neck. 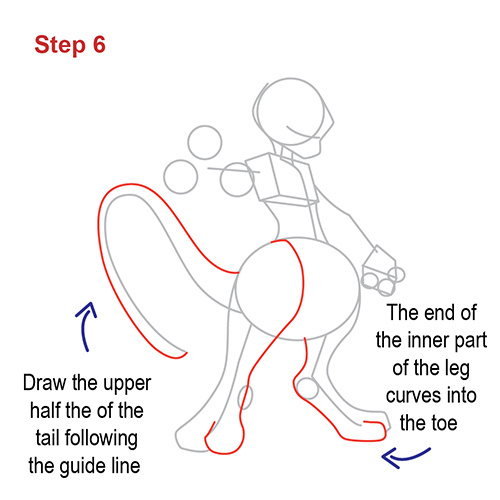 Following the lines, draw the outer part of the legs. 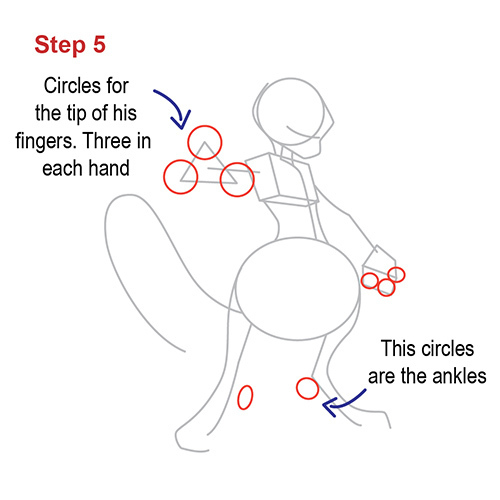 To make the tips of Mewtwo's fingers, make three circles in each hand. We're also using circles for his ankles. 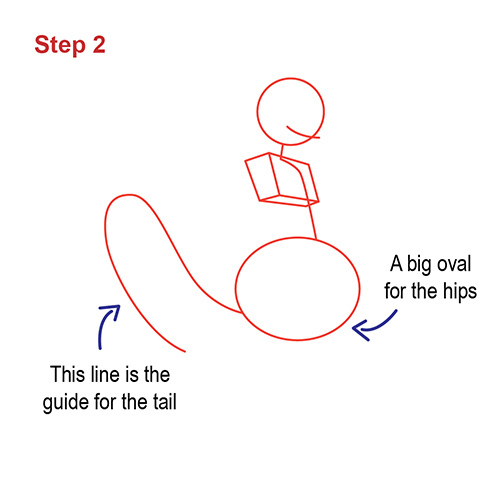 Draw the upper half of the tail y following the guide line drawn previously. The end of the inner part of the leg curves into the toe. 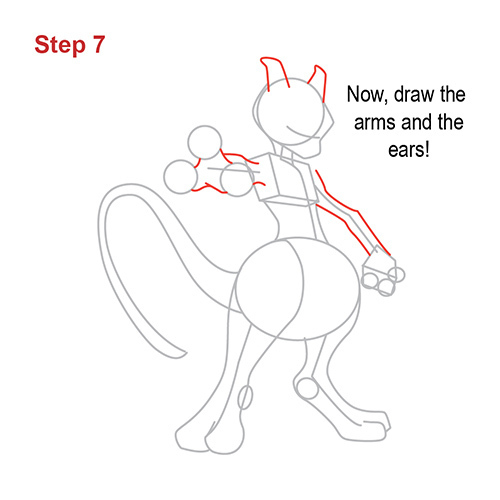 Time to draw the arms and the ears, Mewtwo is getting more and more recognizable! 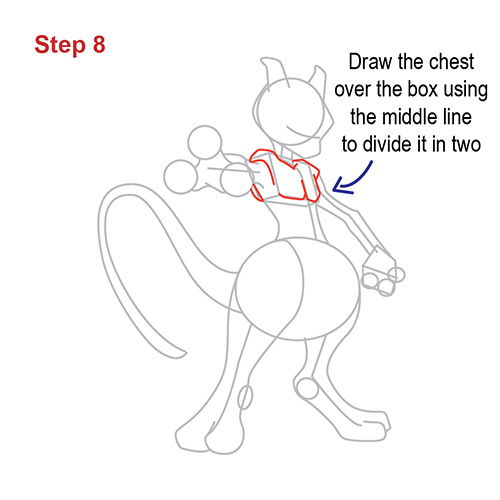 Draw the chest over the box using the middle line (spine) to divide it in two. Draw the details of the face. Finish the tail by adding the lower half of the tail. This goes all the way to the top of the hips. Make the divisions of the fingers. Erase the lines that cross each other. 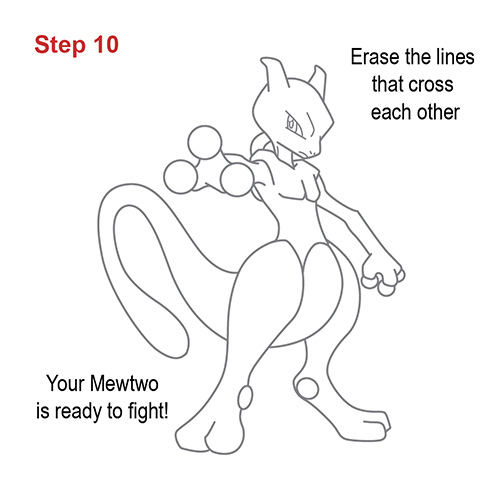 Your Mewtwo is ready to fight! 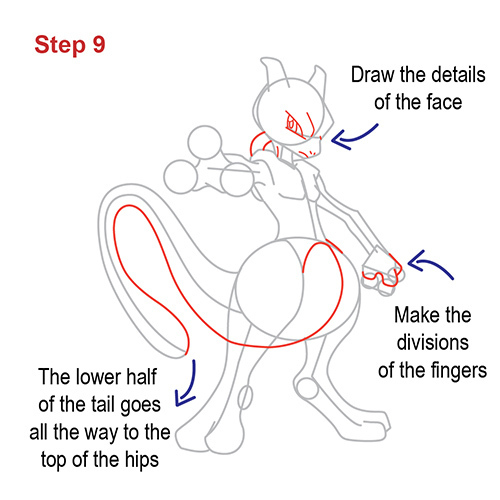 We hope you enjoyed this tutorial on how to draw Mewtwo. Please check out our other how to draw tutorials, they are all for free!